The springtime competition between Amazon Prime Video and Netflix is heating up, just like the weather. This is good news for fans of both streaming services. Good news, streamers! Amazon Prime Video and Netflix are working hard to improve the experience for each respective streaming service. Amazon Prime Video is spending big bucks to improve its streaming selection while Netflix has added a functional screen saver to get the word out about its original programming. While neither of these developments are world-beating revolutions, both will improve the viewing experience for Amazon Prime Video and Netflix subscribers. And that’s what’s it should be about in the end! Word on the street has it that Amazon is spending $4.5 million to obtain rights to new streaming video services. While this is a bit shy of Netflix’s $6 million budget, Amazon is still able to acquire rights to movies, TV shows, and even live events. For example, Amazon announced that it has acquired the rights to stream 10 Thursday night National Football League games this year. 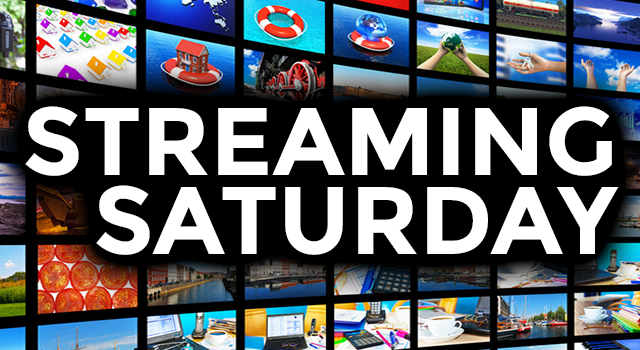 It’s expected that the streaming service will increase the number of live events in its catalog throughout the year. Rumor has it that Netflix features a screen saver that promotes Netflix originals that you might like. This screen saver seems to work when you’re inside the Netflix app so it won’t replace your default screen saver you use on your media player. It comes with all media players that use the latest Netflix app but won’t play on older Netflix apps such as first generation Roku 2 and Roku 1, which are both discontinued. Hopefully this app will help introduce viewers to Netflix original programming they wouldn’t normally watch or have heard of before. While Amazon and Netflix are battling it out, what’s Hulu doing? Well, the streaming service provider had a rather humorous April Fool’s Day gag. It operated on the premise that the human attention span has dropped to eight seconds, which is less than that of a goldfish. To cater to this emerging market, Hulu re-branded itself as “HU, TV Abbreviated,” and offer 12- and 13-second previews of its Web exclusives. While the gag was funny, Hulu needs to do much more than that if it wants to keep up with the two giants of streaming services. It will be interesting to see what Hulu might do to remain relevant in this rapidly-advancing market. The news that Amazon increased its Prime Video budget and Netflix’s new app is good. Both of these developments will improve the viewing experience for subscribers to the respective streaming services. Hopefully, this is yet another round in the ongoing “streaming war” between these two giants. As I’ve said before, when two big companies battle in the marketplace, it’s the consumers – i.e. the viewers like you and me – who end up winning big. AirTV: Which app should you choose?